Damselflies are flying about in the back country right now in growing numbers. 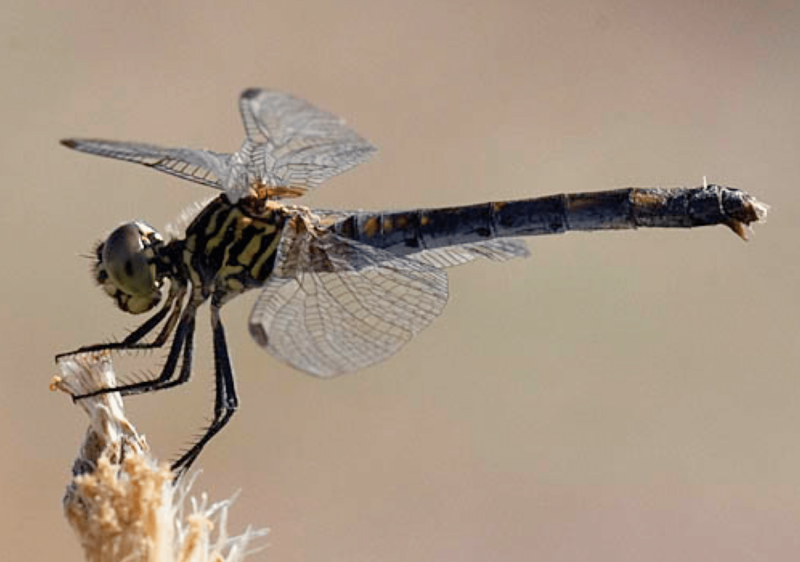 Damselflies in Baja California Sur are in the order Odonata along with Dragonflies and differ from them in generally being smaller sized and having a tendency to fold their wings straight back at rest instead of holding them out to their sides as the Dragonflies do. Damselflies can be found near almost any fairly clean fresh water, especially the very small intermittent creeks still to be found in many of the local hiking canyons. They spend long periods in the water as nymphs, and while there eat many smaller insects and some very small crustaceans. They are now emerging from their nymph (larval) states as adults and busily creating more nymphs by coupling and laying eggs. As adults they continue eating insects. Damselflies are preyed upon in all life stages by birds, fish, amphibians, reptiles, insects, spiders, dragonflies, other damselflies, etc.. There are nearly 3,000 species of Odonata recognized worldwide, and they generally are doing well but can be threatened by habitat alteration and chemical introductions (i.e., development and pesticides). Next time you see one of these dazzling aerial jewels, you might want to thank it for eating a great many of the kinds of small insects that we humans find obnoxious. Editor’s note: Consider visiting www.bcsbirds.com website, the reference of Baja California Sur Butterflies, Dragonflies, and Other Animals; with a huge gallery of pictures and textual information.